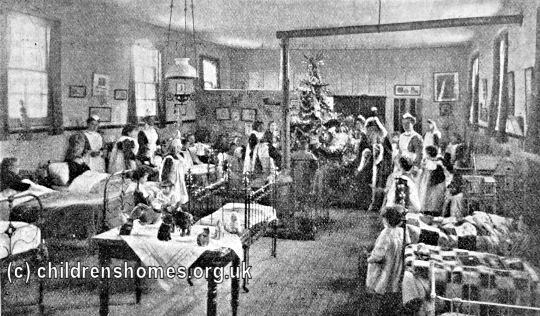 The Byfleet Receiving Home was opened by the Waifs and Strays Society in 1893 at Chertsey Road, West Byfleet, Surrey. It was located immediately next door to the Society's St Nicholas' Home for Cripples and was opened on the same day, June 7th, 1893. The home accommodated up to a dozen children who were coming into the Society's care until they were either placed with foster parents or found a permanent place in one of the various branch homes. The home was closed in around 1904.